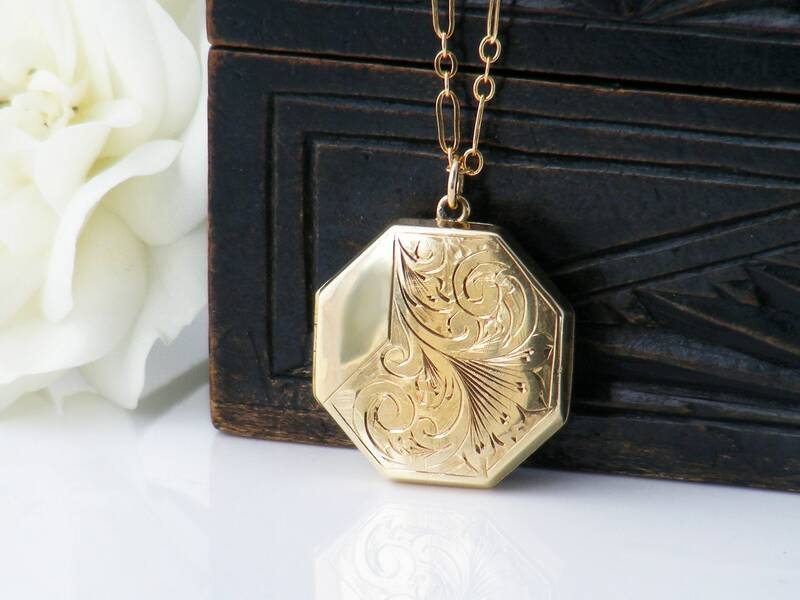 A very elegant gold locket from the 1960s, classically chased with a design of acanthus scrolls, highly polished and octagonal in shape. 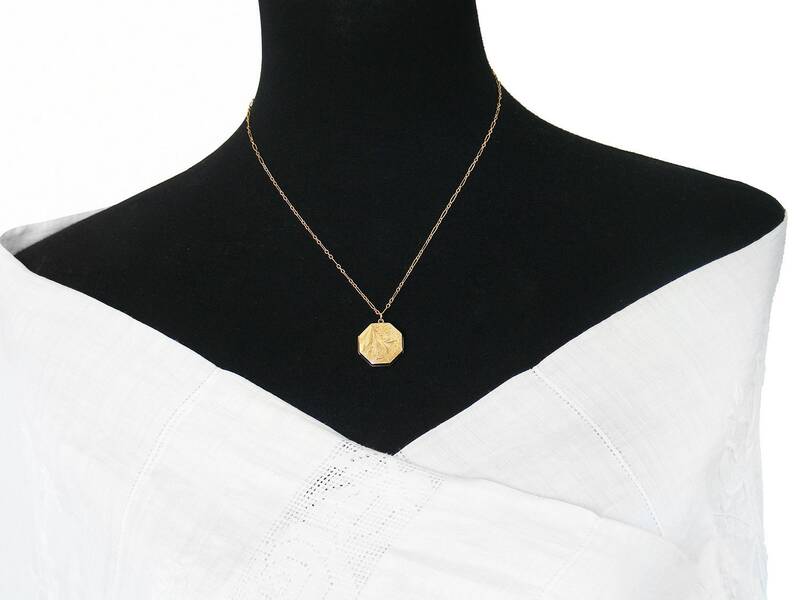 Of English descent, this is a gold 'Back & Front' locket - it has a 9ct Gold shell over a stronger internal frame, usually gilded brass. Stamped '9CT BACK & FRONT' to the plain polished back. 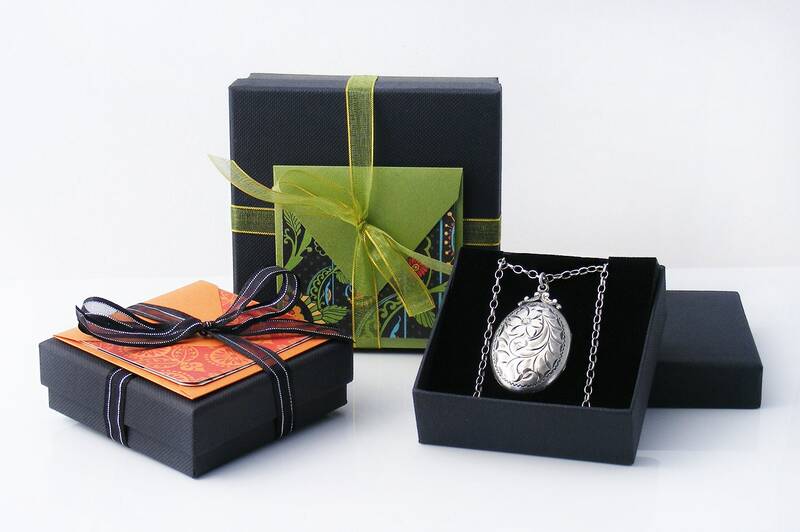 The locket hinges on the left hand side and opens to reveal a single photo rim and overlay film with new black backing card. 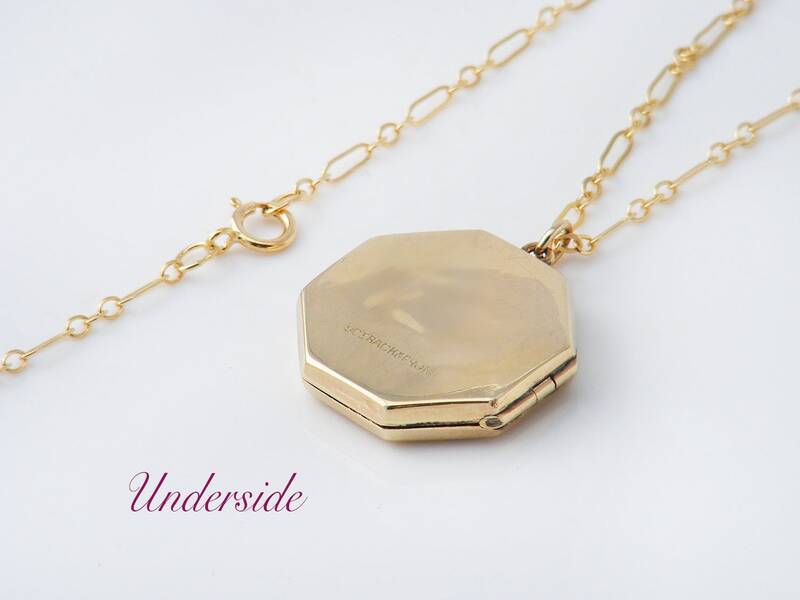 Presented on a new 18 inch or 45.8cm chain in 14ct gold fill, stamped as such to the clasp. Photograph #4 shows the locket and chain on a life size torso. Condition: Excellent. No issues to report. Note: dark patches are camera reflections, not there in reality. 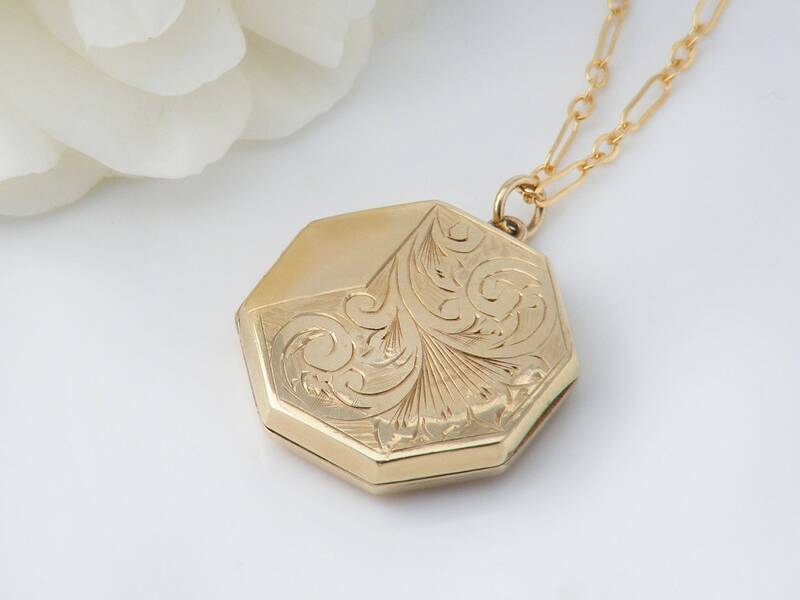 The locket closes tightly and the hinge is working perfectly. 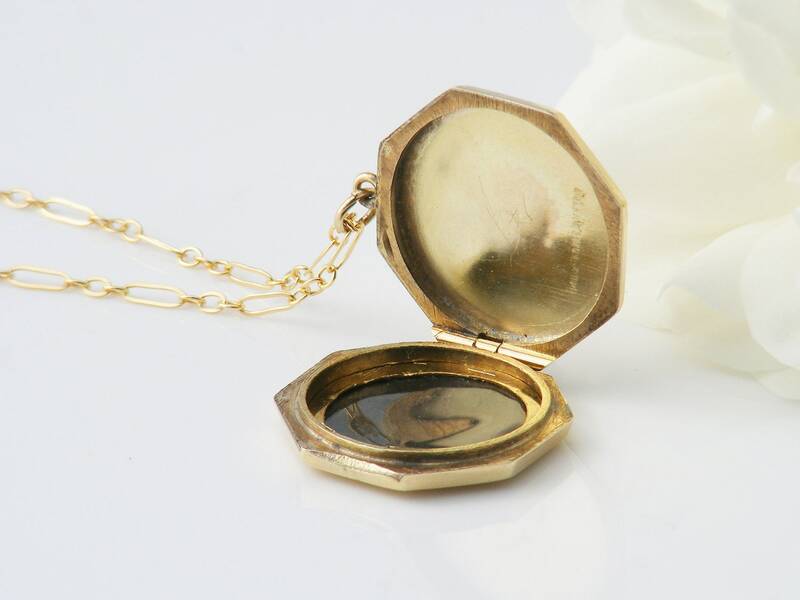 Gorgeous and rather uncommon in this shape - a very pretty locket.